Before you throw your pitchforks and hand grenades, I’m just as shocked by the title as you are. Books are almost always better than the movie because…well, Hollywood. But every now and then, a movie comes along that actually makes up for the faults of a book, and here we have five shining examples of an event rarer than Bigfoot: movie adaptations of novels that were better than the novels themselves. 1. No novelizations. The book had to have come first to make this list. 2. No common fables or Disney would destroy this list. 3. Comic books are allowable, but single, specific stories, not character-specific adaptations like Batman, Superman, etc. 4. The movies aren’t necessarily great, they just make up for the faults of the book. 5. My opinion only. You disagree? More power to you. Let’s talk about it in the comments. I admit I saw the movie first. It’s not a phenomenal film, but a very likable, pretty movie with a great cast. Ziyi Zhang, Ken Watanabe, and Michelle Yeoh in one film? Heck to the yes. Naturally, I wanted to read the book, and hey! There it was for a dollar at a book sale! So I bought it. After five chapters, I gave up. Does that mean I should take it off this list? No. If you can’t win me over in five chapters, you need to try again. Yes, there are differences between the book and movie (the book’s romantic leads are waaaay farther apart in age), but those weren’t what bothered me. What bothered me was the style. The book could go on and on without really saying much. Case in point: a scene where the narrator spends several pages describing geisha clothing. Yes, it’s part of the world they’re trying to create, but those pages were anything but captivating. Sometimes, descriptions just get in the way. I’m about to get murdered, aren’t I? Look, Alan Moore’s Watchmen is a very good graphic novel, a darkly genius spin on the superhero genre, and a total classic. And the movie really isn’t that good. Overly-stylized, unnecessarily bloody, and sometimes it was too faithful to the book. However, when the movie made changes, they were smart ones. In the graphic novel, pages and pages and pages are spent on a comic-within-the-comic that a boy reads throughout the book. Sure, you can say it parallels the book or says something about the comic industry, but you can’t deny it’s a massive distraction. So they cut it in the movie. Actually, they cut a lot of Alan Moore’s incessant jabber. The guy’s a genius, but he loves to cram every panel with as much dialogue as possible. The biggest change, though, was the villain’s master plan. SPOILER ALERT! The world is nearing World War III, so the bad guy sets up a fake enemy, killing millions, to unite enemy governments and save the planet. In the movie, he framed Dr. Manhattan, which made perfect sense. Dr. Manhattan was a superhuman phenomenon of incredible power who had already had a publicized breakdown and whom the world had already begun to fear. In the comic? Aliens. He faked an alien invasion. Hate me if you will, but the film’s version was not nearly so easy to laught at. This was one of those classics I’d always intended to read, but kept forgetting. Thus, I figured I’d skip the movie. But when your mom calls and says she wants to see the movie and will pay for your ticket, the answer is yes. I was pleasantly surprised. Again, not an enduring classic, but a very enjoyable movie with some great action scenes. Plus, I hadn’t read the book, so that twist ending was awesome! Like Memoirs of a Geisha, I just had to read the book afterwards. So I did. And it blew. Hard. The movie mercifully cut an entire subplot about his brother and sister taking over the world through philosophical ideas. That sentence is no less detailed than the book itself. Seriously, we’re just told that they’re planting ideas into the world through the internet and people start to follow them. No details, no depth, no point. The movie also made the child geniuses older. Ender was about twelve or so. In the book? More like five when the story started. It’s way harder to believe in a five-year-old genius than a twelve-year-old one. The movie cut out all the pointless stuff, modified what didn’t make sense, and clarified some seriously befuddling writing. Plus my copy of the book spoiled the surprise ending on the back cover. That’s a novel party foul, man! I do not like the Lord of the Rings books. There, I said it. Tolkien had some great ideas, but the style of his writing was beyond me. Building a world is good, but everyone can agree that his descriptions go on forever while a film can show pages of material in one shot. No joke, I got halfway through the third book and couldn’t finish that last leg, I was so bored. Thus, I did not expect to like the movies, but like everyone else in the world, I loved them. Yes, Aragorn’s emo stage is dull; yes, Legolas is too perfect; and yes, that “one does not simply” meme is getting real old. But you can’t deny the sheer quality of the film. Great acting, smart adaptations, stirring music, ingenious design and camerawork, and Andy Serkis. The books may be classics, but Tolkien’s thick style is lost on me. Let’s face it: Jane Austen wrote for a very different time period. The “show, don’t tell” rule clearly did not exist in her day as we are told absolutely everything. In the pivotal third-act scene of Pride and Prejudice, when Darcy confesses his love for Elizabeth, the dialogue stops part way and the writer goes on so say, “and then he told her about this and that and the other thing.” Why not just keep it in quotes? And the entire final arc of Mansfield Park is told through letters. Letters! If the main character is not involved, then why are we following her so much? And in Emma, the talkative characters will literally go on for pages and pages. SEVERAL TIMES! We get the point, she’s talkative, now can we get back to the freaking story?! The movies, however, don’t have those limitations. Even if they remain extremely faithful, as many have, we still get to experience the story in a clear, unclouded manner. Jane Austen had some great stories, do not get me wrong, and I definitely respect her books as classic literature. But the style has aged, and when a story is obstructed by a writer’s style, the book becomes very hard to enjoy. 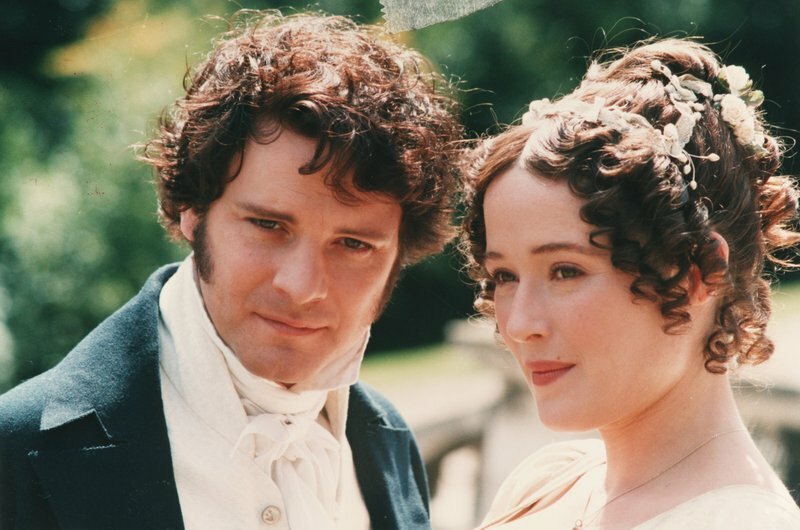 Pride and Prejudice–The 1995 six-part BBC miniseries with Jennifer Ehle and Colin Firth. 100% perfect casting. ALSO The Lizzie Bennet Diaries on Youtube. Totally blew me away. Sense and Sensibility–The 1995 film starring Emma Thompson, Kate Winslet, and Hugh Grant. Persuasion–The 1995 film (clearly a good year for Jane Austen!). Can Ciaran Hinds ever be boring? Emma–The 2009 BBC miniseries staring Romola Garai and Jonny Lee Miller. Mansfield Park–The 1999 film starring Frances O’Conner. Seriously saucy adaptation, but beautifully directed. Northanger Abbey–The one that…uh, that one with…um…okay, I haven’t seen a good one yet. Sorry. What do you think? Did I miss any? Do you generally like movies or books better? Are you going to kill me in my sleep for this post? Sound off in the comments! < Previous Disney Discussions: Is Cinderella Sexist or are Feminists Crazy? Ha! I disagree with almost everything you said here, but that’s okay. 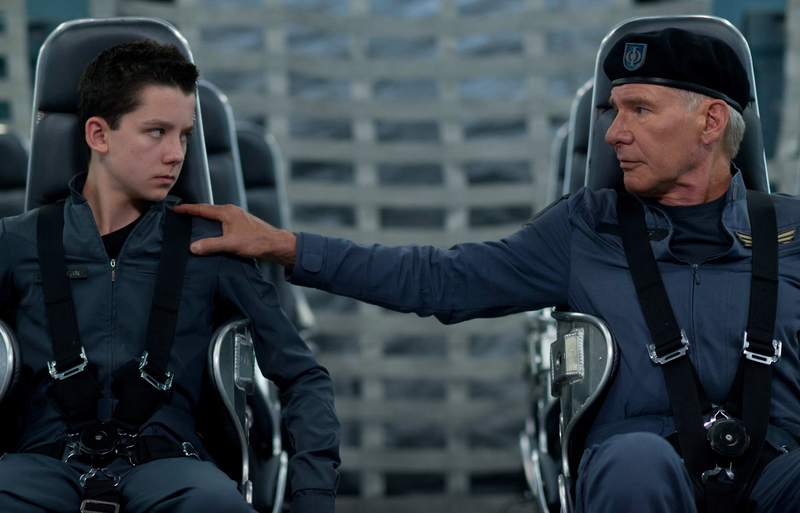 I think with Ender’s Game, especially, if you had read the book first you would have had a totally different experience. The one movie I always liked better than the book was Chocolat. I read the book and remember thinking the movie was so much more interesting, especially with its use of colors. I never saw chocolate but I heard it’s good. I will agree with you about the Lord of the Rings. 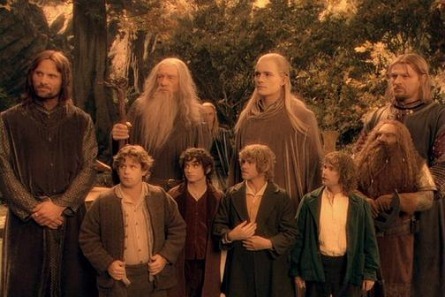 The movies were tonnes better than the books and they are what made me fall in love with the Tolkien universe. But I loved the Ender’s Game book so much more than the movie! Not to say I didn’t enjoy it, but it captivated me in ways the movie just couldn’t. I agree with the Lord of the Rings. I had watched the movies first, then read the first book. Tolkien’s style of writing has so much detail that I can get lost; I don’t think I even remembered much from his book. The movies helped me understand the book stuff.